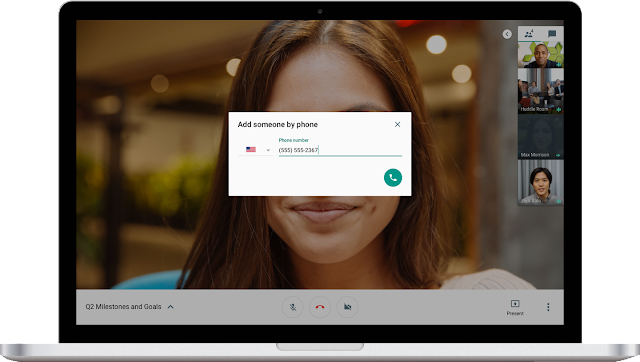 All G Suite domains call a US or Canadian phone number for free from Hangouts Meet. With easy-to-join video calls, Meet helps your team stay connected. 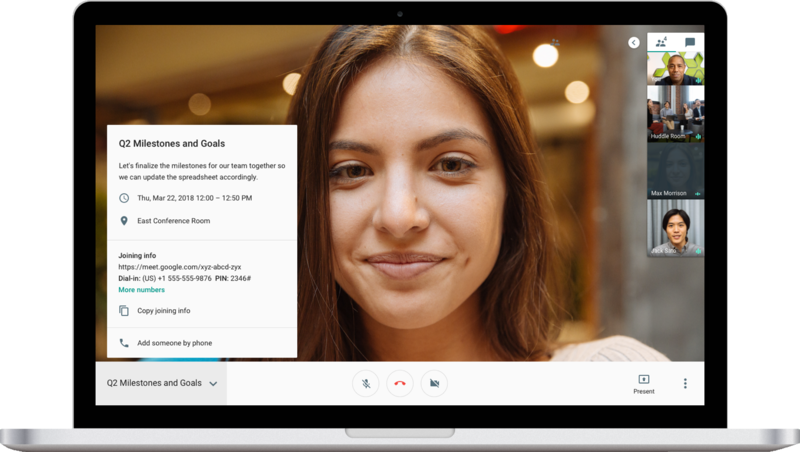 Sometimes, you may want to add participants to your meeting without needing to send them a link, like when you want to connect folks who are already dialed into a conference bridge, or if a team member is running late and is still on their commute. That’s why you can now call US or Canadian phone numbers, directly from your meeting, for free. With this launch, G Suite users who are in the same domain as the event organizer, and who are accessing Meet through their web browser, can add someone by phone using the instructions in the Help Center. To give their users access to this feature, G Suite admins will first need to enable Google Voice in the Admin console. Please note, this feature is currently supported from specific countries only. Please reference this Help Center article for a list of countries that are currently eligible to use this feature. Update (May 15, 2018): It is no longer necessary to enable Google Voice for users to access to this feature.